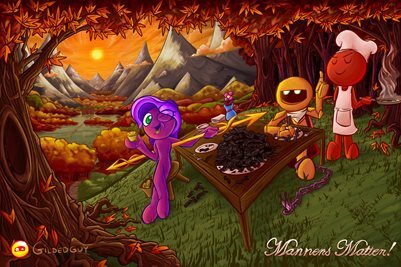 Enjoy a full-color DOUBLE-sided 18" x 12" poster featuring "Manners Matter!" & "Bring Home the Cheddar". From Gildedguy's November and December 2016 Patron posters.